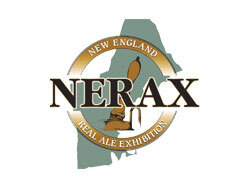 North is a satellite festival of the longest continuously running cask ale festival in the United States. For those of you who aren’t familar, NERAX North is a smaller, more intimate festival. This year, we are planning on serving about 30 firkins of cask-conditioned ale, some from Great Britain, some from the US, primarily from New England and the surrounding states.
. Payment can be made by major credit card, PayPal, or cheque. As in past years, admission will be avaiable at the door for each session.